Cam Starr’s idea was for the NFA to be an association that would fight the big fights for the “little guys” that like fireworks. In fact even today, the NFA “Friend of Fireworks” membership is still only $50.00 per year. However, fighting for an entire industry and their customers is not cheap, especially in Washington, DC. Over the past 18 months, the NFA has become a very significant voice and advocate in the halls of the US Senate, House of Representatives and with the bureaucracies that regulate fireworks. The United States Consumer Product Safety Commission (CPSC), The U.S. Department of Transportation (DOT) and the Bureau of Alcohol, Tobacco and Firearms (ATF) are all visited regularly by NFA Executive Director Nancy Blogin and the Board of Directors. Currently we are faced with a monumental challenge. The CPSC has undertaken a Notice of Proposed Rulemaking (NPRM) that proposes the most sweeping changes to how Consumer Fireworks are made in over 40 years. The primary point of debate for the NFA is what is referred to as the “metals ban” which we believe will have a significant negative impact on the ability of fireworks users to obtain the type of aerial fireworks that they’ve grown to use and love. These include the multi-shot cakes and reload-able aerial shells that the public enjoys so much on the 4th of July! These types of Consumer Fireworks represent the largest and most enjoyed product segment in the industry and their existence is being threatened by this proposed rulemaking. Some have even promoted taking fireworks back to where they were 30 years ago and we think that notion is crazy! The NFA is currently soliciting donations to help us to KEEP AERIAL CONSUMER FIREWORKS AT THE SAME POWER AND QUALITY AS WHAT IS CURRENTLY ALLOWED UNDER EXISTING FEDERAL REGULATIONS. The NFA is asking for nothing more and nothing less, and we need your donations to HELP US SUCCEED IN OUR MISSION. Please HELP US SAVE YOUR FIREWORKS! 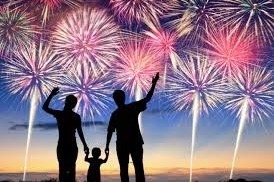 WASHINGTON – The National Fireworks Association (NFA) announced today that is has gathered nearly 5,000 signatures on a petition to #SaveOurFireworks as the Consumer Product Safety Commission (CPSC) prepares to vote on a proposed rule which would ban the use of powdered metals in the break charge of consumer fireworks. The petition, which began last week at the NFA Convention in Wichita, KS, is fueled by 100 percent grassroots support of the NFA, which has over 1,200 members. The petition drive comes on top of more than 2,000 comments that were submitted in opposition to the proposed rule during public comment period last year. The 2,000 comments in opposition to the proposed rule were among the most filed on any issue ever before the CPSC. During the public comment period and now with the NFA petition, there have been nearly 7,000 individuals and businesses that have told the CPSC about why the proposed rule’s metals ban doesn’t make sense and should be abandoned. “Fireworks safety is critical for our industry and the NFA is a staunch advocate and promoter of fireworks safety, but the proposed metals ban doesn’t advance the goal of increased safety,” said Nancy Blogin, Executive Director of the National Fireworks Association. The proposed rule would prohibit powdered metals in the break charges of consumer aerial fireworks. If enacted, it would ban many of today’s most popular fireworks without any safety benefit. The U.S. Small Business Administration’s Office of Advocacy has expressed concern about the CPSC’s failure to consider the impact on small businesses. The consumer fireworks industry generates nearly $900 million annually and Americans consume over 230 million pounds of fireworks during their celebrations annually. The NFA petition drive is still online and will be through Sunday, September 23. The NFA will deliver the petitions to the CPSC Commissioners next week before they vote on the proposed rule. About NFA: The National Fireworks Association is a non-profit organization dedicated to advocating for the safety of consumer fireworks. Importers, distributors, manufacturers and sellers of commercial fireworks make up the over 1,200 small businesses member companies who operate in the United States. With your support, we have raised $2,780 in the first week to SAVE YOUR FIREWORKS! While we still have a ways to go, this is an awesome start and we thank you. Remember what the US Consumer Product Safety Commission stated in their Notice of Proposed Rulemaking (Federal Register Vol.82, No.21). They state that if the amendments to fireworks regulations go through the way that they are currently proposed, 84% of aerial Consumer Fireworks currently in today’s US market will be banned from sale! We at the National Fireworks Association are fighting to make sure that this doesn’t happen. However, we need the support of everyone that enjoys selling, buying and shooting fireworks!